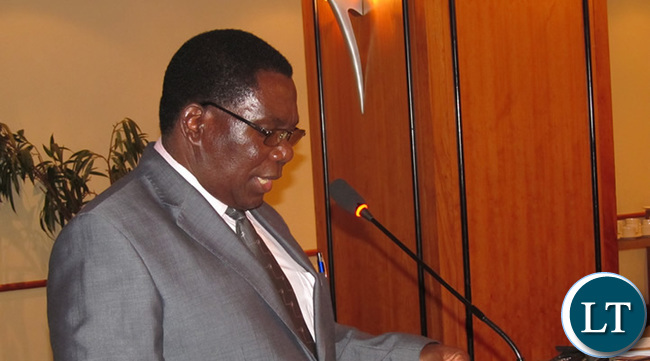 MORE than 700,000 children of school-going age who are supposed to be in school are currently not enrolled in the country’s education system, General Education Permanent Secretary Chishimba Nkosha has said. Mr Nkosha said the situation was of grave concern to Government and called for stakeholder involvement in the provision of education, to go around the situation and ensure that all children of school-going age were enrolled. He said Zambia being a signatory to the United Nations Convention on the right to education, the number of children not in school was worrying. He was speaking in a speech read for him by the Ministry’s director of planning and information, Owen Mgemezulu during the Zambia Open Community Schools (ZOCS) annual general meeting. “Latest survey reports indicate that there might be over 700,000 children of school going-age in the country who are not in school; a situation that is worrisome to us, especially that Zambia is a signatory to the United Nations convention on the right to education. “It is for this reason that we call upon all the players in the education provision arena to join hands in the fight to enrol all children in schools,” he said. Mr Nkosha said the ministry was ensuring that community schools were not sidelined as the children in those schools were also its responsibility. He urged civil society organisations such as ZOCS to continue to help in the provision of quality and equitable education through public awareness and other activities essential to improving the quality of learning. He said the revised curriculum was successfully rolled out and had shown great improvement in academic performance of literacy programmes, especially among grade one pupils. He said pupils were now able to understand better and had improved interactions between them, teachers, the school and the community. ZOCS board chairperson Maureen Simunchembu said community schools were offering education to around 117,000 children across the country. Ms Simunchembu said ZOCS’s vision was to ensure that the vulnerable children had access to quality education to help them realise their dreams. “Community schools provide education to 117,000 learners – 46, 800 boys and 70,200 girls,” she said. ZOCS was currently supporting over 524 community schools dotted around the 43 districts in the country. Education is one of the most important things in the whole world. Zambia needs proper investment into schools so that we can produce educated citizens to run this beautiful country in years to come. Because successive governments did not place too much importance on education in the past, we have now ended up with people with low standard of education in government who have no idea how to run a business never mind a country. Children are our future so lets give them proper nutrition and quality education. Lets stop wasting money by voting for incompetent people who just waste money willy nilly. Me, I could never employ any one in government, even EL, to work in my business. Sorry, you are all to useless.